Is the information secure? Is MobileTec easy to use? 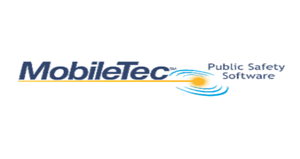 MobileTec International, Inc. is a proven leader in providing Public Safety Solutions for police departments, sheriff’s offices, communications centers, fire departments, and correctional facilities across the U.S. and in Latin America. It offers Information Management Systems (Computer Aided Dispatch, GEO, Records Management System and Jail Management System), Data Routing (Switch) and In-Field Systems (MOBILE, ReportWriter, and GEO). This completely customizable and dynamic software solution was designed to meet the different customer needs of any size law enforcement, EMS, fire, or correction agency. MobileTec International Inc. is setting an industry standard in Public Safety, having developed a proven, state-of-the-art total automation solution package. MobileTec’s InMotion™ is complete suite of products which is modular in design, scalable and can function in a stand-alone environment, and/or be integrated with other systems to meet any agency’s automation/configuration requirements (whether large or small).